The world’s longest defined coastal touring route, the Wild Atlantic Way stretches for over 2,500km along the west coast of Ireland. A must-see for those planning on taking a trip to Ireland, this route takes in the unspoiled and rugged western coastline of Ireland. 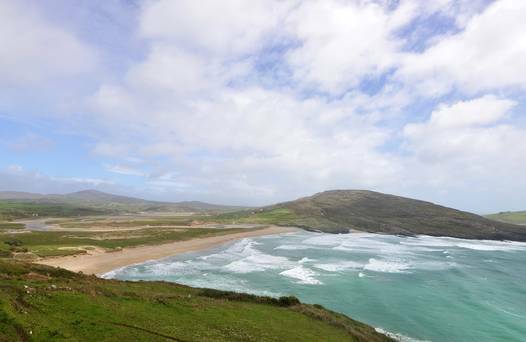 Set to become one of Ireland’s most awe inspiring coastal routes, it stretches from the north west coast of the Inishowen Peninsula in Donegal to the most southerly coast of Kinsale in County Cork. Ideally explored whilst on a self drive tour of Ireland, the many hidden gems and unspoilt scenery to enjoy along this route will guarantee an exciting Ireland vacation. Coomeenole, Co. Kerry. 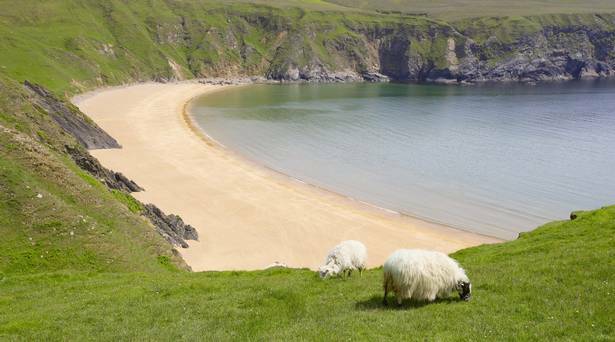 Recognised as the beach used in the film Ryan’s Daughter (1970) this beach sits at the top of Slea Head, County Kerry overlooking the blasket Islands. 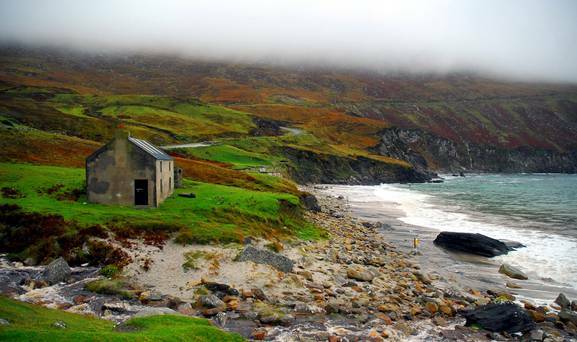 Keem Bay, Achill Island: the breathtaking beauty on this five star beach has inspired artists like Paul Henry and Graham Greene to the area. 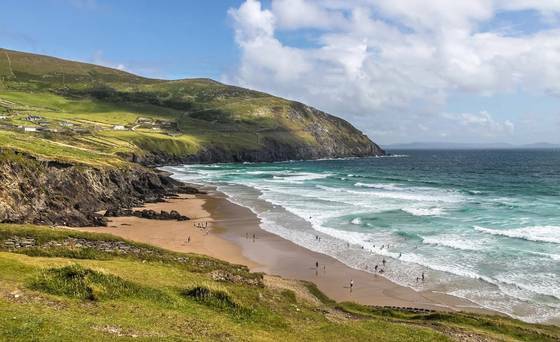 Barley Cove, Co. Cork: Set near the southwesternmost tip of Ireland, Barleycove is one of the most remote Blue Flag beaches in the country. A perfect stop on your way to or from Mizen Head. Silver Strand, Co. Donegal: Located on the Slieve League Peninsula near Glencolmcille. Snorkelling, swimming and sunbathing are all gorgeous here. This entry was posted in Activities in ireland, Best Attractions in Ireland, Ireland Travel, Ireland vacations, Irish Festivals, Self Drive Vacation Ireland, Travelling around Ireland, Uncategorized, vacation to Ireland and tagged beaches in Ireland, Vacation in Ireland, Wild Atlantic Way. Bookmark the permalink.